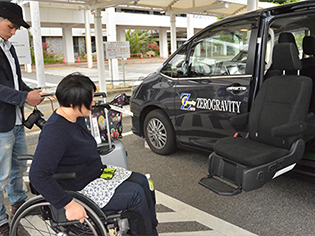 The concept of Zero Gravity is to generate a safe and secure location for all people, normal and handicapped, to learn about and enjoy the wonders of the ocean. 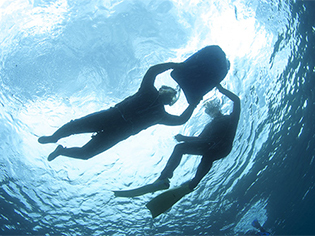 Zero Gravity was founded as a result of one man’s passion for diving. 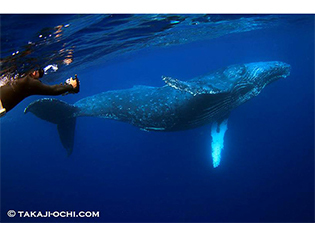 After experiencing the joys of scuba diving off the island of Hachijo 25 years ago and being astonished by the wondrous sensation of free-floating and moving in 3 dimensions, he became determined to share this breathtaking experience with as many people as possible. 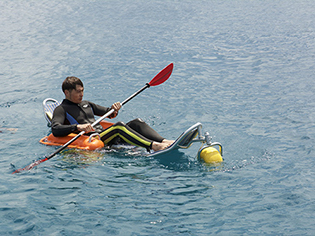 He began searching for ways to make this marine environment safe and accessible to handicapped people. 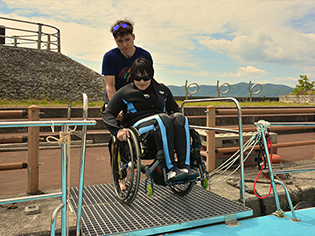 In the spring of 2016 he was finally able to complete a barrier-free facility at Seisui, Setouchi-cho on Amami Island. 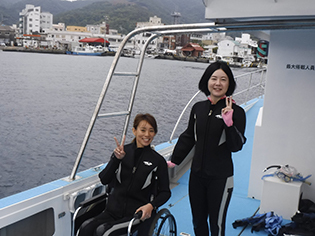 This marked the beginning for a new project where people who are limited to their wheelchair in normal life are now able to enjoy new and exciting marine activities! 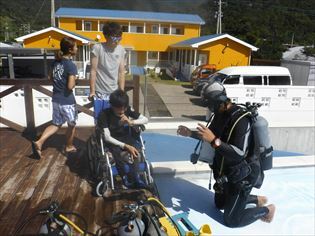 These experiences are not only for the disabled. 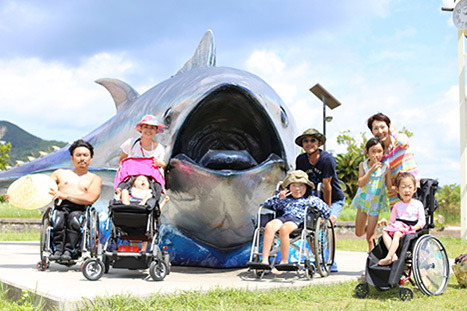 Normal people are also able to appreciate and enjoy the wonders of Amami Island along side their family and others who share the same passion. 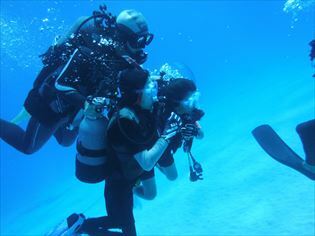 In addition to scuba diving, Zero Gravity offers whale watching, kayaking and snorkeling. 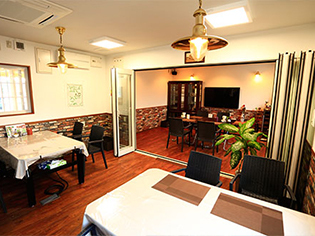 Both local and international food options are available to keep your energy levels up and ready for more fun! 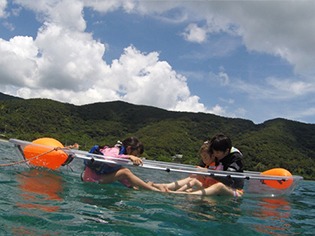 Many handicapped customers have enjoyed the marine activities offered by Zero Gravity. 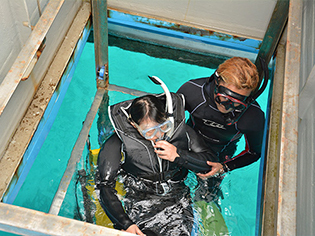 Some of these activities have been featured in local and national media. 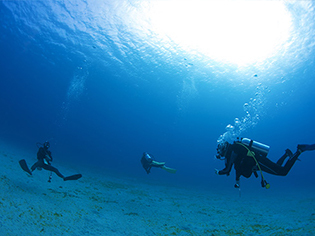 Together with Shinagawa Group, Zero Gravity will continue our dedication to provide an unforgettable experience in the marine world for those whose limitations have prevented them from enjoying scuba diving in the past. 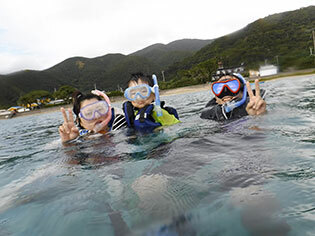 Through their voice, we have been able to learn and we are always looking for ways to improve their experiences on Amami Island. Please feel free to speak directly to our staff during your visit and of course be sure to let us know your thoughts after you leave. 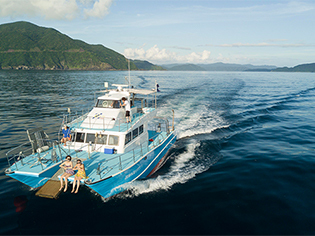 Perhaps you have been hesitant in the past or perhaps you simply did not know that the joys of scuba diving were open to you, but don’t let anything hold you back from taking the step forward and experience the beauty of Amami Island. 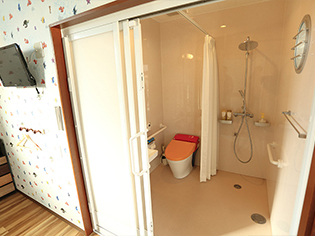 The facility is completely barrier-free. While I was anxious before starting, the pool training reassured me that I would be able to enjoy myself in the water. 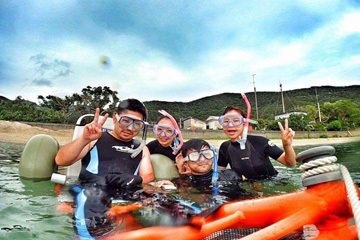 Now I am a first time snorkeler! My instructor provided support customized to my particular needs. Boarding Zero Gravity One was very easy due to the detachable slope that is able to accommodate both low and high tides. Once on-board, I found the boat to be spacious and moving around was not an issue. 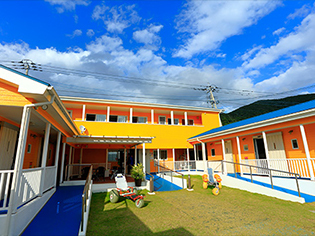 I enjoyed eating, playing and laughing during my 3 day-stay and came away with many wonderful memories. Thank you, Zero Gravity, and special thanks to all my instructors! 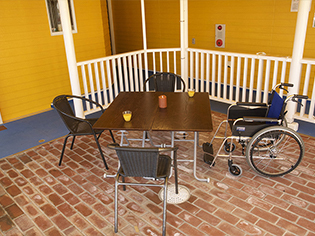 Unlike a lot of public “Barrier Free” facilities, Zero Gravity is a wonderful resort space that is able to accommodate every need of the disabled. 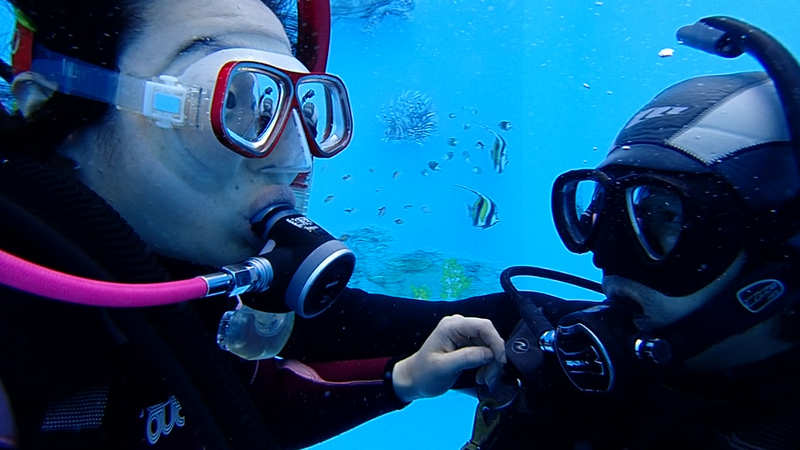 Despite my anxiety and fear that I might have trouble, I decided to try scuba diving! The instructor’s teaching, reassurance and patience gave me the courage I needed to continue and before I knew it, my fears disappeared and I was able to enjoy the feeling of being weightless in the water! 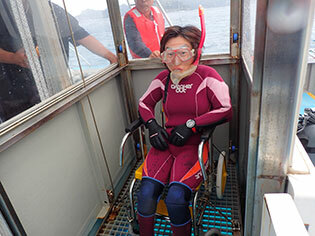 The elevator on the boat lowered me smoothly into the ocean despite being severely disabled and a being heavy-set. As a result, I had my best summer vacation with Zero Gravity and hope to return every year. 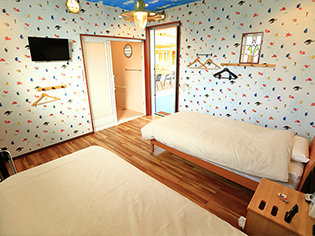 They do a great job encouraging the participation of family members and creating a memorable experience. The ocean was right in front of me and I was amazed at how calm it was. 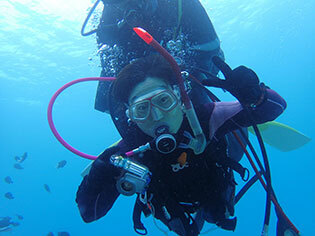 My fears disappeared over time and I was able to enjoy all the marine activities that I participated in. 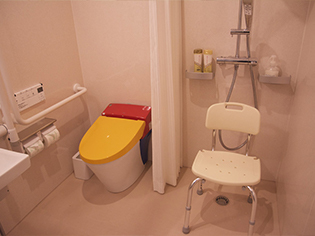 The facility is very visitor-friendly and is equipped with all the necessary items. Our family is always focused on our second daughter with her disability, but during this trip, my elder daughter was able to enjoy her time, not having to worry about her sister while she played. Indeed, I was able to get some of my own “personal time” and enjoyed my time at my own pace. Usually we return from trips exhausted, but not so with Zero Gravity, I was able to relax knowing my children were in good hands. 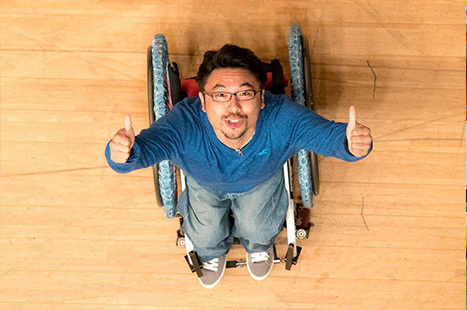 In the United States, I saw many handicapped children being able to actively participate in all kinds of sports, but quickly realized that this is not often the case in Japan. I wanted to create a society where those dealing with disabilities are able to enjoy the same types of activities that others enjoy. This is how I was able to form the D-SHiPS32 (D-ships mini) NPO. 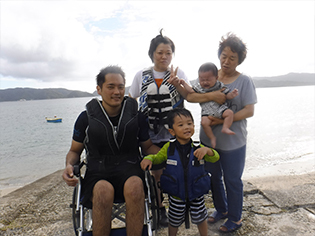 Despite being born with an injury (spinal bifida), he was able to attend regular schools and was an active youth, playing in the mountains and rivers after abandoning his wheelchair. He participated in ice sledge hockey in both the 2006 and 2010 Winter Paralympics, winning a silver medal in Vancouver. He was selected as one of the top 10 ice sledge hockey players in the world. 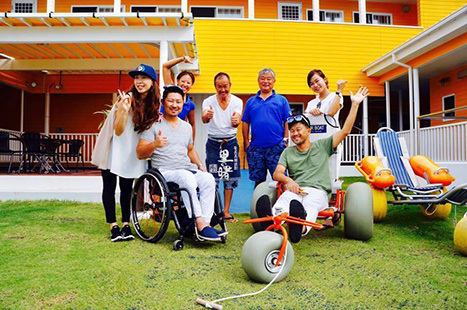 Daisuke retired from the sport in 2013 and soon after established D-SHiP32 to provide support to disabled children. He is also serving as an adviser to various corporations for product development and organizing community activities.